Women Religious are an integral part of the Archdiocese of Seattle. These orders work in many areas, including social justice, outreach, education, care for the poor, and more. Adrian Dominican Sisters - O.P. The Adrian Dominican Sisters are an international Congregation of more than 804 vowed women religious whose roots go back to St. Dominic in the 13th century. We are committed to preaching the Word of God, the formation of community centered on faith, and ministry to further the values of the Gospel among ourselves and in our world. Our ministries have been developed from the traditional works of education, health care and social work. 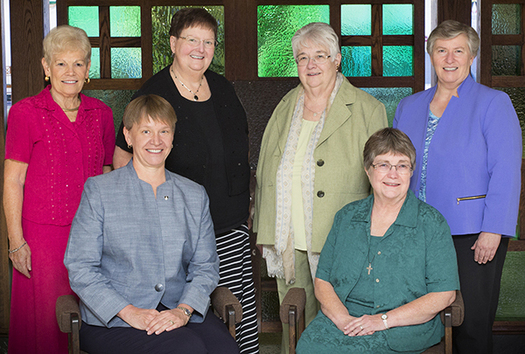 Our Sisters serve in such ministries as education, administration, law, social work, health care, pastoral ministry, music, art, and office work. Together, we continue the Dominican tradition of preaching through our prayer, study, ministry, and common life. In the Archdiocese of Seattle, the Adrian Dominican Sisters serve in Edmonds, Lynwood, Mountlake Terrace, Seattle, and Shoreline. Benedictine Nuns of the Primitive Observance - O.S.B. The motto of the Order of Saint Benedict, Ora et Labora, is the animating spirit by which the nuns live. Prayer is the first and foundational element of a life lived in total consecration to Jesus Christ. From prayer the rest of the day flows, finding its vitality, its strength, its purpose, and its apostolic fruitfulness. 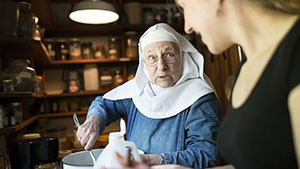 The nuns at Our Lady of the Rock strive to witness to God’s presence in the world by offering a place of prayer and hospitality to others in an environment of monastic peace. Guests of all faiths are welcome to pray and work with the nuns, sharing in a part of their lives. Our daily schedule is centered on the Eucharist and on the Liturgy of the Hours which we pray in Latin. Lauds and Vespers are sung in Gregorian Chant as is the Mass, using the Novus Ordo. As dictated by St. Benedict, our second most important work is hospitality, where people come for retreats to share in our prayer and work. Blessed Sacrament Sisters of Charity - B.S.S.C. The Blessed Sacrament Sisters of Charity are a congregation of religious women of prayer and mission, founded by Father Yoon Ule Su Lawrence in 1956 in Korea. There are about 400 sisters living and serving in Korea, Peru, the Philippines, Vietnam, Mongolia, and the United States. Centeral administration and motherhouse are located in Jounju, Korea. 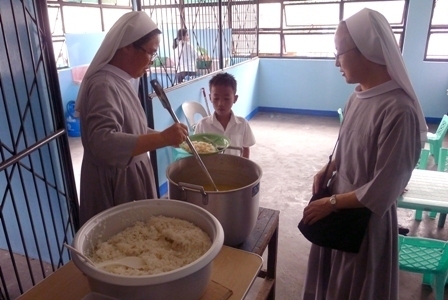 The sisters assist in parishes, nursing homes, homeless centers, homes for handicapped children, orphanages, centers for the elderly, kindergartens, and missions in Mongolia, Vietnam and the Philippines. The Blessed Sacrament Sisters of Charity are tryin gto live and serve others following their founder's motto: "I myself have to be happy to share the happiness with others." Sister Agnes Sunam Cho, B.S.S.C. Carmelite Sisters of Our Lady - Carm.O.L. The Carmelite Sisters of Our Lady are women religious from the Philippines. Through prayer and mission, the sisters in the Pacific Northwest participate in the redemptive mission through Christian formation, education, and other pastoral ministries. With preferential love for the poor, they evangelize, calling people to a deeper faith, responsible action, and role in creating a just society. 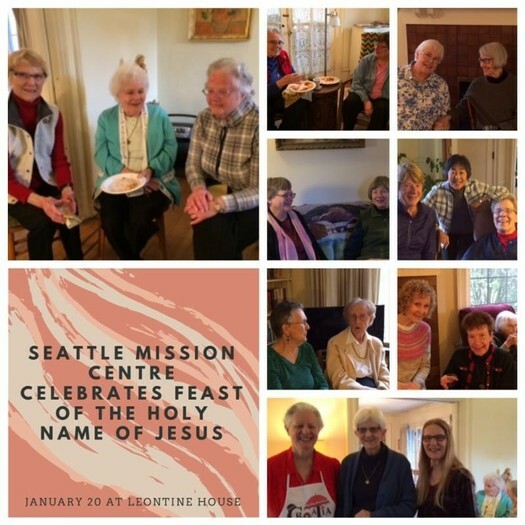 The Carmelite Sisters of Our Lady serve in West Seattle at Providnce Mount St. Vincent and in Holy Rosary Parish and School. Sister Regina Christine Aviso, Carm. O.L. 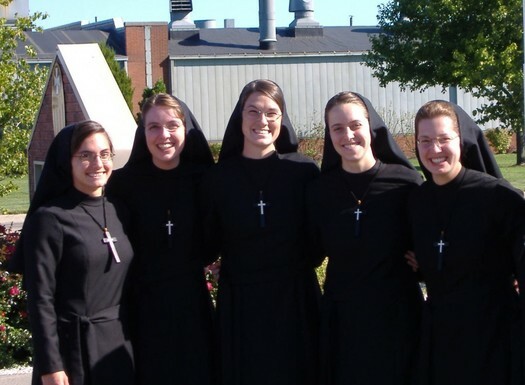 Congregation of the Sisters of the Holy Cross - C.S.C. ending gender discrimination against women — by working to transform or to bring to an end those systems and structures which oppress women and to collaborate with others in the creation of just and inclusive systems and structures. Sisters of the Holy Cross are: educators, nurses, administrators, counselors, social workers, parish and campus ministers, retreat leaders, writers, attorneys, advocates for social justice and systemic reform. We serve throughout the world in: schools, hospitals, social service agencies, churches and parishes, retreat houses, centers of prayer and community organizations. Discalced Carmelite Nuns - O.C.D. We belong to the Order of the Blessed Virgin Mary of Mount Carmel, and her presence pervades our monastery and stamps our life with a distinctly Marian character! Our Carmelite family, in keeping with the example given us by St. Teresa, also lovingly honors St. Joseph. Holding everything in common, we challenge ourselves to radical self-denial—to right relationship with one another and all creation. St. Teresa referred to the Carmelite community as “the little college of Christ.” Sisters in the community come from broad and varied backgrounds, each bringing their unique gifts and talents… each discovering new gifts and talents in Carmel. St. Teresa’s ideal, that we live our vocation in an atmosphere that strikes a balance between solitude on the one hand and community life on the other remains our daily striving and challenge. We believe that within our acts of sisterly kindness and the little ordinary things we do each day is hidden the grace and potential for personal and world transformation. We have a special focus in our prayer for the Church, for priests and for the missions. Dominican Sisters of Tacoma - O.P. The Tacoma Dominican Sisters, Congregation of St. Thomas Aquinas, have been in the Northwest since 1888. The Tacoma Dominican Community of vowed members and associates minister throughout Washington, California, and Arizona. Their ministry and service include education, parish and hospital ministry, ministry to the sick and elderly, to new immigrants, to the poor and homeless, and to women's empowerment. Their Dominican tradition of contemplation impells them to collaborate in networks of spiritual, educational, and political commitment to create a just society that addresses basic human needs and eds the violence that erodes the planet. They are preachers of peace, justice and joy who have joined together as seekers of truth. Dominicans of Sinsinawa - O.P. Sinsinawa Dominican women are called to proclaim the Gospel through the ministry of preaching and teaching in order to participate in building a holy and just society. The mission of the Sinsinawa Dominicans directs and guides the life and ministries of the sisters and all those who also espouse the mission. As an apostolic religious congregation, the Sinsinawa Dominicans engage in many and varied ministries of preaching and teaching. The congregation sponsors educational institutions. 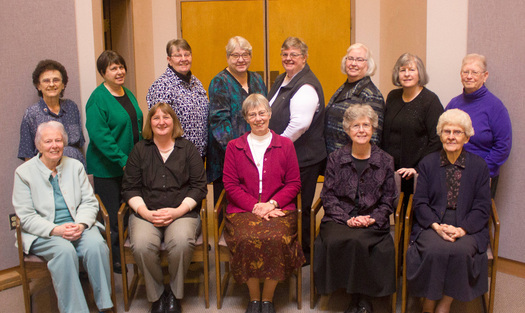 Sinsinawa sisters are also engaged in numerous sponsored ministries, all of which flow from the mission of the congregation. Franciscan Sisters of Perpetual Adoration - F.S.P.A. We are a community of vowed Franciscan women centered in Eucharist, committed to be loving presence through prayer, witness and service. Proudly joined in the FSPA mission and ministry are our affiliates, prayer partners and our partners in sponsored ministries. Members of FSPA minister all around the globe. The Lovers of the Holy Cross of Go Vap of Viet Nam - L.H.C. 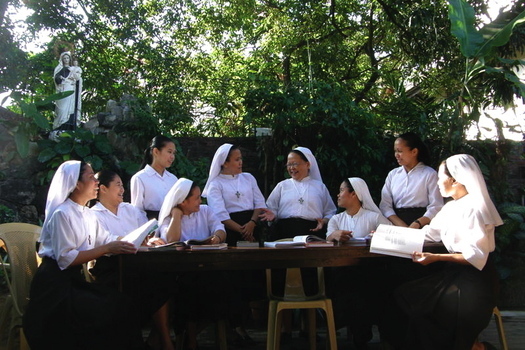 The purpose and mission of the Sisters of the Lovers of the Holy Cross of Go Vap are "to know, love and offer oneself totally to Jesus Christ by diligently contemplating, remembering, and imitating His sacrificial life on earth," and "continue His salvific mission through work of intercession in house prayers and in daily life" (Constitution 3 & 4). 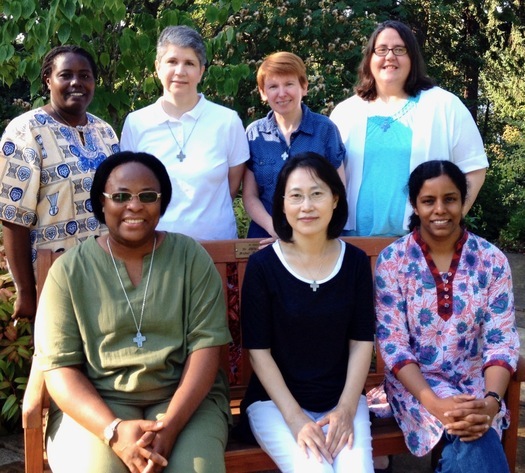 The sisters serve in different diocese in Vietnam, Rome, Germany and the United States. In the Archdiocese of Seattle, they serve in parishes in Everett, Seattle, Tukwilla, Mercer Island, Renon, Auburn, Tacoma and Olympia. Sister Maria Phuong Thi Kim Dinh, L.H.C. Missionary Sisters of the Holy Rosary of Fatima - M.R.F. 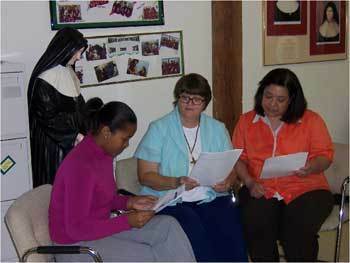 The Missionary Sisters of the Holy Rosary of Fatima, Diocese of Izcalli, Mexico, serve in religious education training for Hispanics in parishes and missions in the Archdiocese of Seattle. 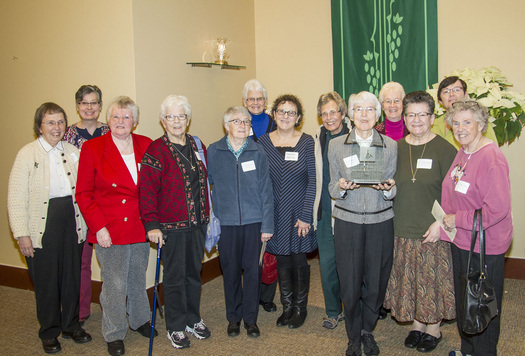 Religious Sisters of Mercy of Alma, Michigan - R.S.M. The Religious Sisters of Mercy of Alma, Michigan is a pontifical institute with the goal of the praise and worship of God the Father, Son and Holy Spirit for the boundless mercy which been revealed through the works of creation, redemption, and sanctification. 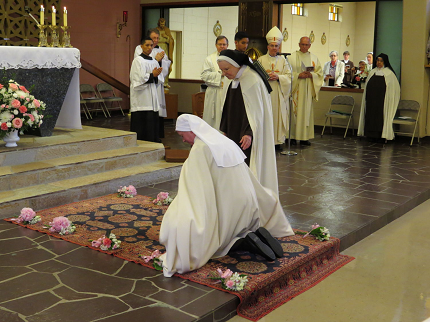 The sisters profess the vows of poverty, chastity and obedience, as well as a fourth vow of service. Our apostolate, as that of all religious, consists primarily in the witness of our consecrated lives. Flowing out of the charism entrusted to our foundress Venerable Catherine McAuley, we offer that witness in the service of the “poor, sick, ignorant”, predominately in the areas of health care and education. Sister Margaret Mary Turner, R.S.M. School Sisters of Notre Dame - S.S.N.D. 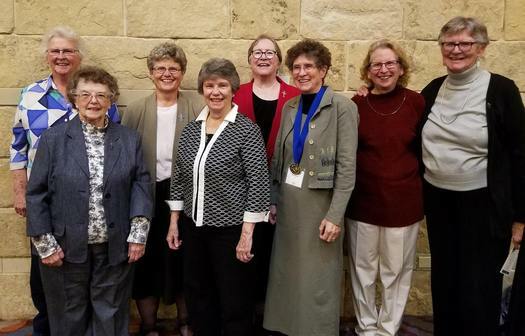 Their mission is to proclaim the good news as School Sisters of Notre Dame, directing their entire lives toward that oneness for which Jesus Christ was sent. Their ministry is directed toward education. For them that means enabling persons to reach the fullness of their potential as individuals created in God’s image and assisting them to direct their gifts toward building the earth. Committed to this goal, they respond to varying needs of church and world through a diversity of ministries. They strive to live and work in ways that reflect and promote the values Christ lived and taught. Sisters of Mercy of the Americas - R.S.M. Responding to a call to serve the needy of our time. Inspired by the life of Jesus and by our founder Catherine McAuley, the Sisters of Mercy envision a just world for people who are poor, sick and uneducated. The Sisters of Mercy are women of faith who commit our lives to God and our resources to serve, advocate and pray for those in need around the world. Sisters of Our Lady of Perpetual Help - S.O.L.P.H. The Sisters of Our Lady of Perpeutal Help was founded by Maryknoll Father John Morris in 1932 in Korea. S.O.L.P.H. community members continue to serve not only in Korea, but in the United States, Peru, China, and Germany. 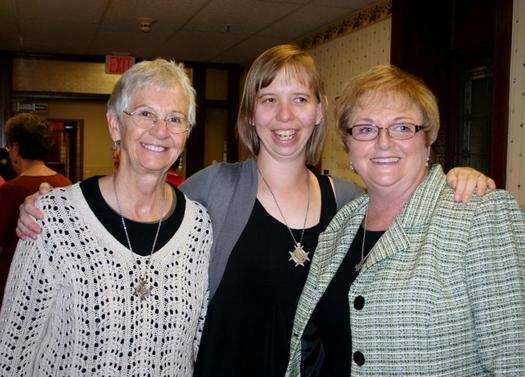 The sisters minister in the areas of parish ministry, hospital ministry, and Bible study. In the Archdiocese of Seattle, the sisters minister at St. Andrew Kim parish in Seattle. Sister John Gemma Kim, S.O.L.P.H. Sister Young Gn Song, S.O.L.P.H. St. Placid Priory is a women’s Benedictine monastic community. We come from diverse backgrounds and have pursued many different careers. We are down-to-earth. We follow the Rule of St. Benedict, pray together and extend our Benedictine presence to the local community in the Olympia, Washington area. We are healthy risk-takers, willing to follow the call of the Holy Spirit–even when the invitation seems unsure. We are a community with some structure and much freedom. We strive to allow the Rule of Benedict and the prophetic call to influence our lives. We are optimistic about our future and are taking concrete steps to prepare for our monastic future in the next century. We seek to cultivate a gentle spirit, bringing a non-violent stance to our conversation, interactions and ministry. 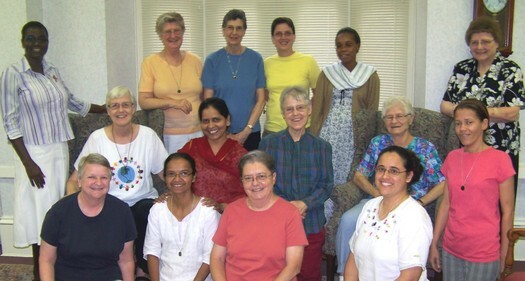 The Sisters of the Holy Names of Jesus and Mary (SNJM), an international congregation of Catholic Sisters, Associates and Lay Consecrated women, are dedicated to the full development of the human person through education, social justice, contemplation and the arts. Since our founding in Longueuil, Quebec in 1843 by Blessed Marie Rose Durocher, our ministries have been to educate and empower people. Today, more than 400 SNJM Sisters and nearly 400 Associates are part of the SNJM U.S.-Ontario Province. 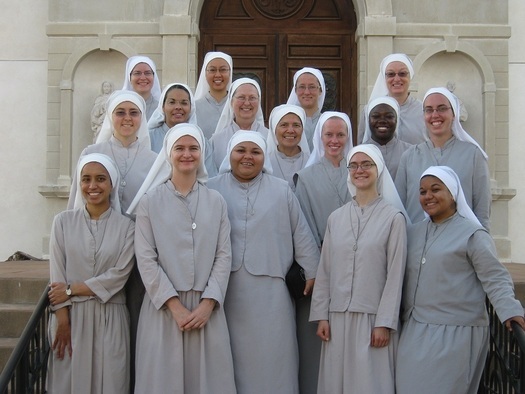 Worldwide, Sisters of the Holy Names serve in North America, South America and Africa. We have a special concern for the poor and marginalized, especially women and children. Our recent corporate stands include: support for water as a human right and a public good, opposition to human trafficking, and solidarity with migrants and refugees. Sisters of the Holy Names of Jesus and Mary have served in the Archdiocese of Seattle since 1880 with the opening of Holy Names Academy. We continue to support ministries such as the Intercommunity Peace & Justice Center and Mercy Housing Northwest. Whether in schools or parishes, tutoring centers or graduate programs, studios or prisons, immigrant centers or counseling offices, we are committed to following the Gospel and working to promote systemic change. More information can be found on our website. True to our founding principles, we put our faith in God’s Providence and our energies into works that include education, parish ministry, health care, community service and support, housing, prison ministry, pastoral care, spiritual direction, retreats and foreign missions. In everything that we do, the love of Christ impels us to respond to the cry of the poor and the vulnerable with concrete action. Saint Francis of Assisi, who responded to a call from God by a radical following of the Gospel, greeted those he met with a wish for peace and all good. We, Sisters and Associates, wish you the same and offer a bouquet of tulips, a flower that reminds us of our origins in the south of The Netherlands. Magdalen Damen, our Foundress, carried the Franciscan spirit into the turbulent world of her day. She was born in 1787, the daughter of simple tenant farmers. Against all odds, nearly fifty years later, she and four companions began a small Franciscan congregation that has spread from Europe to Southeast Asia, South and North America and East Africa. In North America, in our own times, we follow the Gospel, living as sisters minor in the midst of God's people, witnessing hope to a struggling world. Gospel Women Making a Difference! Will you join us in following Jesus Christ? We live the traditional Franciscan Third Order values of contemplation, poverty, humility, and continuous conversion through the evangelical vows of poverty, chastity, and obedience. Community life, prayer and ministry support and express our relationships with God, others, creation, and self. We choose to take the necessary risks to be a compassionate presence in our violent world—especially with women; children; those who have no voice; and those who are economically poor, marginalized, and oppressed. Our varied ministries allow us to foster right relationships in our Church and promote peace in society in the United States and beyond. Evangelio mujeres haciendo la diferencia! ¿Quiere unirse a nosotros en seguir a Jesucristo? Vivimos los valores tradicionales de la orden tercera franciscana de contemplación, la pobreza, la humildad y la conversión continua a través de los votos evangélicos de pobreza, castidad y obediencia. Vida Comunitaria, la oración y el ministerio apoyo y expresar nuestras relaciones con Dios y otros, la creación y la libre. Decidimos tomar los riesgos necesarios para ser una presencia compasiva en nuestro mundo violento, especialmente con las mujeres; niños; quienes no tienen voz; y aquellos que son pobres, marginados y oprimidos. Nuestros variados ministerios nos permiten fomentar las relaciones de derecha en nuestra iglesia y promover la paz en la sociedad en los Estados Unidos y más allá. The Sisters of St. Joseph of Peace and our Associates are called to practice hospitality, nonviolence and care for creation in our mission of peace through justice. We respond to God’s people in need and promote social justice as a way to peace. We stand in solidarity and act in justice with marginalized and oppressed people in our society. Our sisters minister in education, health care, parish ministry, social justice advocacy, spiritual direction and peace ministry in the U.S., U.K, Haiti and El Salvador. In the U.S. we serve in Washington, Oregon and on the East Coast. Prayer is fundamental to our life. 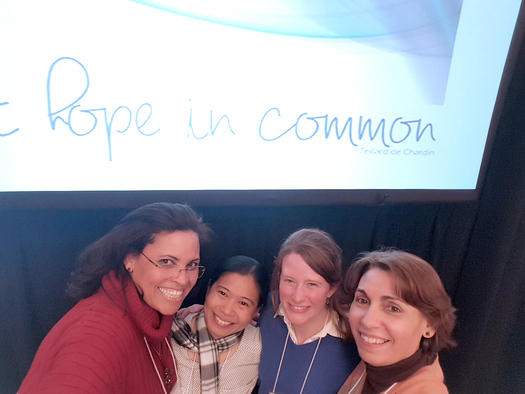 Our presence to one another in community enables, sustains and challenges us to be responsive to our mission. We welcome new members to our Congregation who reflect the rich diversity of people and cultures in our Church and world. Society of Our Lady of the Most Holy Trinity - S.O.L.T. Trinitarian: We exist to give honor and glory to the Most Holy Trinity, to exalt His majesty, and to manifest His greatness. Marian: We strive to imitate our Blessed Mother Mary in her relationships with the persons of the Trinity, as beloved daughter of the Father, Mother of the Son, and spouse of the Holy Spirit. Catholic: As loyal and loving members of Christ and His Vicar on earth, the Pope, we are faithful to the Magisterium and devoted to the Holy Eucharist. Missionary: We serve in areas of deepest apostolic need, as defined by the local bishops where we serve. Family: We are a family composed of priests, deacons, religious brothers and sisters, single laity and families serving together in the missions and bound together in our spirituality. In the Archdiocese of Seattle, the S.O.L.T. 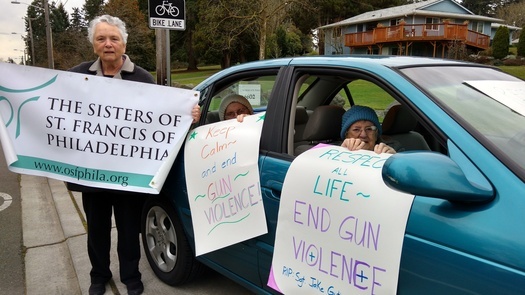 sisters serve at St. Alphonsus Parish in Seattle.